behavior techniques may facilitate the process of modification of thinking patterns of clients. 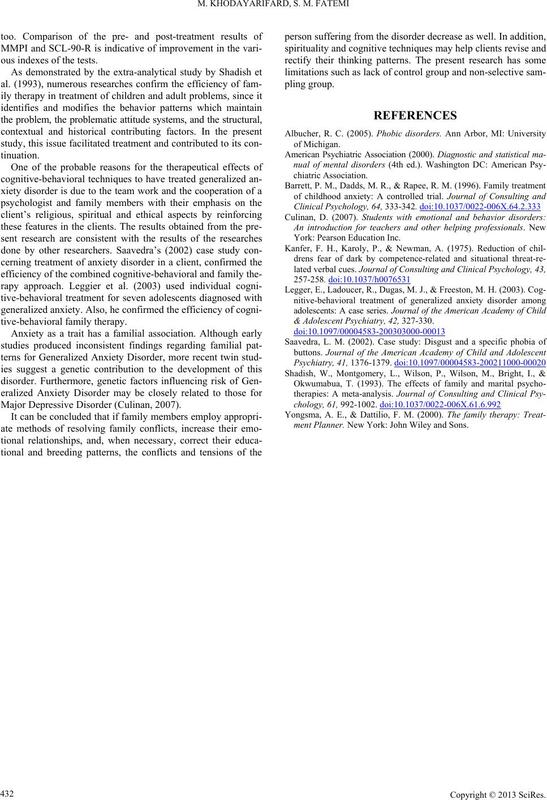 their research paradigms and their epistemological perspective. may be examined in the context of the situational analysis. 2) The person finds it difficult to control the worry. present for more days than not for the past 6 months). Note: Only one item is requi red in children. a) Restlessness or feeling keyed up or on edge. c) Difficulty concentrating or mind going blank. not occur exclusively during Posttraumatic Stress Disorder. other important areas of functioning. der, or a Pervasive Developmental Disorder. the focus of worry may shift from one concern to another. even when their performance is not being evaluated by others. xiety (Kanfer, Karoly, & Newman, 1975). increase in more adaptive behaviors (Zarb, 1992). ance behaviors of the person who suffer from anxiety. think of others perfect or flawless. himself/herself from selfishness, self-interest and egotism. from the outside world (natural and supernatural are together). produce kindness, compassion and purity. above-mentioned 6 principles (Willam, 2000). rapy on treatment of generalized anxiety disorders. they have two children a seven year boy and a four year girl). have a three year daught er . Inventory, before, after and follow-up treatment. 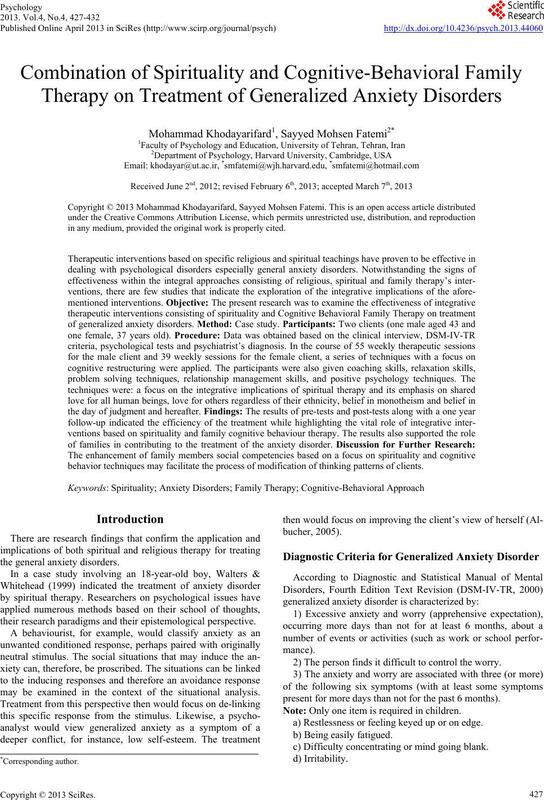 firmed the existence of generalized anxiety and depression. 90-R Test for the first client. sion Inventory, which was indicative of severe depression. results of SCL-90-R Test for the second client. Scores on Beck Inventory, before, after and follow-up treatment. The pre-treatment, post-treatment & follow-up results of MMPI (first client). Pre-treatment, p os t -treatment and follow- u p results of SCL-90-R test (first client). 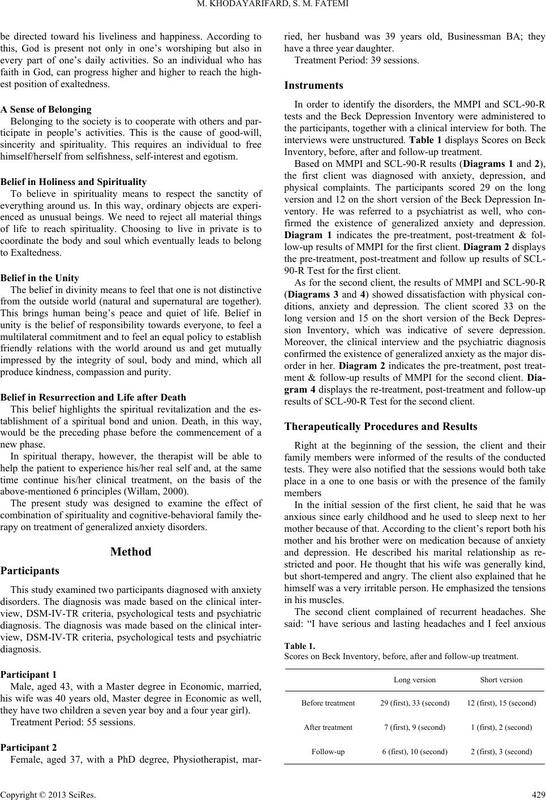 The pre-treatment, post- treatment & follow up results of MMPI (second client). 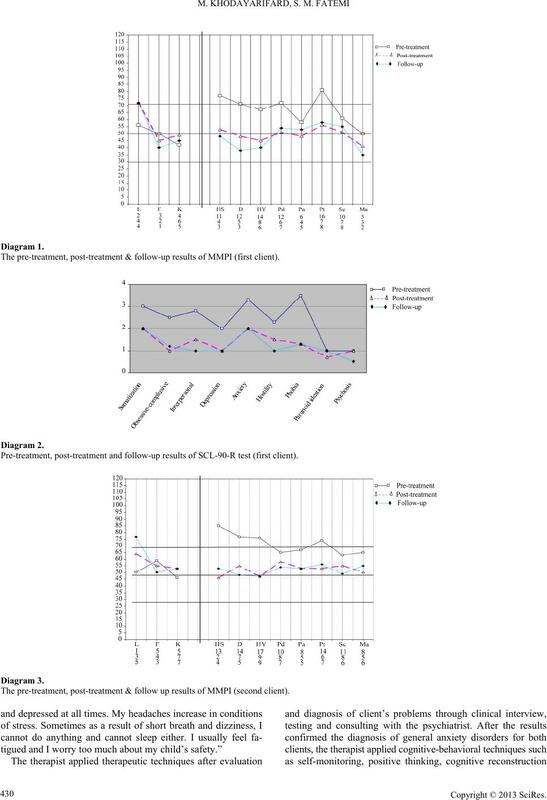 Pre-treatment, po st -treatment and follow-u p results of SCL-90- R t es t (sec ond client). lishing a healthy, friendly and positive climate. ment, anxiety, d ep ression, distress. reflexive and proactive thinking and their different implications. sayings such as God is closer to you than the vein of your neck. own phenomenological life namely their own lived experiences. 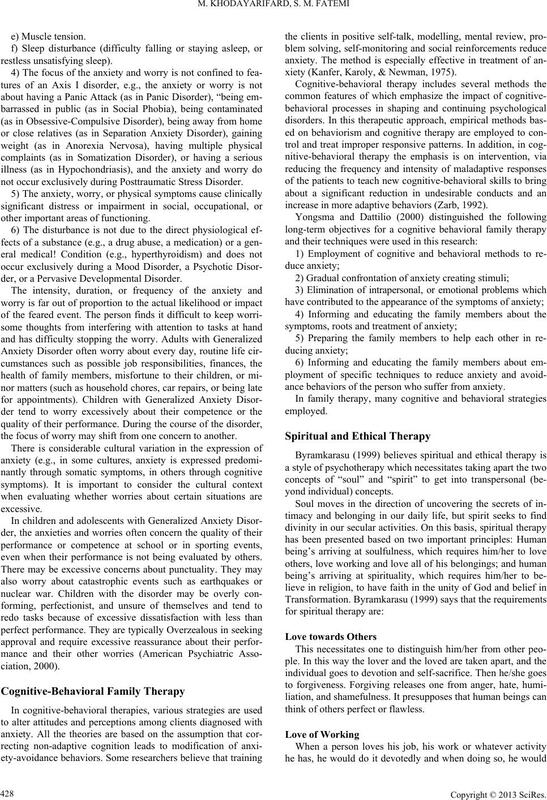 family therapy on treatment of Generalized Anxiety Disorders. ism and belief in the Day of Judgment and hereafter. together with the nature of family conflicts was emphasised. ous indexes of the tests. Major Depressive Disorder (Culinan, 2007). York: Pearson Education In c.
& Adolescent Psychiatry, 42, 327-330.
ment Planner. New York: John Wiley and Sons.